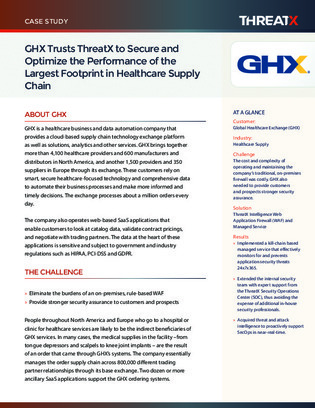 GHX, a healthcare business and data automation company that provides a cloud-based supply chain technology exchange platform as well as solutions, analytics and other services brings together more than 6,000 healthcare providers worldwide. The data at the heart of these applications is sensitive and subject to government and industry regulations such as HIPAA, PCI-DSS and GDPR. Their customers rely on smart, secure healthcare-focused technology and comprehensive data to automate their business processes and make more informed and timely decisions.